1872 — Pollice Verso (Thumbs Down). Oil paint on canvas. Academic Art style. 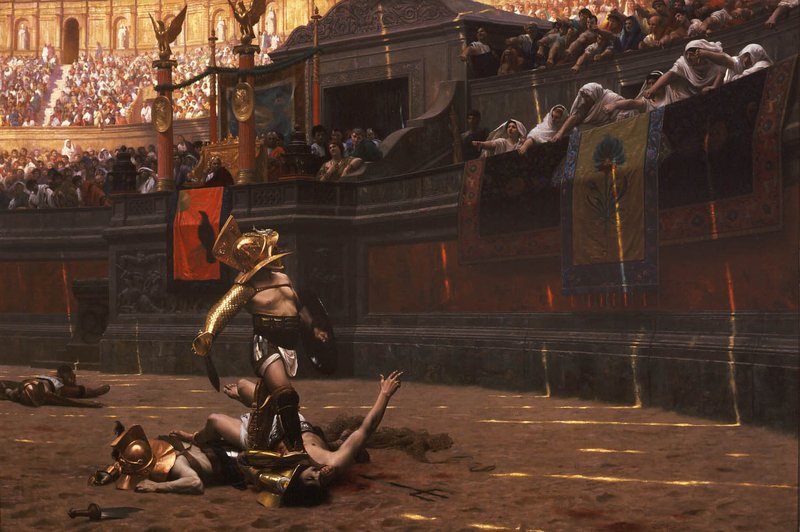 Jean-Leon Gerome (1824-1901). Phoenix Art Museum, Phoenix, Arizona, USA.